Today’s Groupon Deal of the Day: One Ticket to a Montreal Impact Game. Two Matches and Two Seating Levels Available. This is a limited 1-day only sale that will expire at midnight (Monday, July 25, 2011). Click here to buy now or for more information about the deal. Quantities are limited so don’t miss out! For $11, you get one bronze-level ticket to the game against the Minnesota Stars on August 6 at 8 p.m. (a $22 value, including tax and service charge). For $14, you get one bronze +/silver-level ticket to the game against the Minnesota Stars on August 6 at 8 p.m. (a $27 value, including tax and service charge). For $11, you get one bronze-level ticket to the game against the Atlanta Silverbacks on August 14 at 6 p.m. (a $22 value, including tax and service charge). For $14, you get one bronze +/silver-level ticket to the game against the Atlanta Silverbacks on August 14 at 6 p.m. (a $27 value, including tax and service charge). Montreal Impact boasts three league titles and five regular-season championships. This season celebrates the squad’s imminent ascent to Major League Soccer next year, with games against North American Soccer League opponents Minnesota Stars on August 6 and the ball wranglers from the Atlanta Silverbacks on August 14. The stadium’s sloping stands grant cheering crowds the chance to glean every punt, goal, or facial twitch occurring on the field. 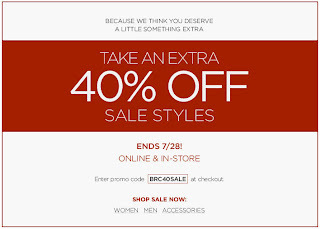 Starting today and ending on July 28, 2011, Banana Republic is offering an extra 40% off on women’s and men’s sale merchandise. This offer applies online and in-store. This offer cannot be combined with any other offer or discount. When shopping online, enter the promo code BRC40SALE at checkout to receive the additional discount. Remember that shipping is free for orders of $50 or more. Click here to shop Banana Republic online now or for more information about the deal. For a limited time, spend more at Le Chateau and save more on sale items. For every $100 you spend, get $25 off. 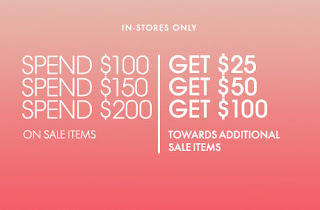 Spend $150 and get $50 off, or spend $200 and get $100 off your purchase. This offer applies in-store only and cannot be combined with any other offer or discount. Click here to shop Le Chateau online now or for more information about the deal. 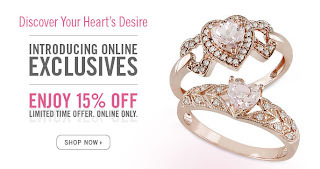 You have until July 31, 2011, to check out Peoples online and to save 15% off your entire order. This offer cannot be combined with any other offer or discount. There’s a huge selection of rings, braclets, necklaces, earrings and pendants to choose from. Shipping is also free for orders of $199 or more. Click here to shop Peoples online now or for more information about the deal. Reminder Update: I originally posted about this deal on Friday. Here’s a reminder that this deal expires tonight at midnight. This deal is a pretty hot seller. At the time of this post, they had already sold over 125+ vouchers so don’t miss out! DealFind has an awesome deal to Clinique Modica Medispa today. For only $249, you can get $3,900 worth of laser hair removal sessions on 3 body parts of your choice. That’s a savings of $3,651 or 94% off! You`re allowed to buy up to 2 vouchers for yourself and unlimited as gifts and the vouchers will NEVER expire. Laser Hair Removal is a fast, safe and pain free way to remove unwanted hair. My wife purchased a similar deal a couple months ago and highly recommends it to all her friends. All of the previous Laser Hair Removal sessions have been very hot sellers so don’t miss out! This is a limited 3-day only sale that will expire at midnight (Sunday, July 24, 2011). Click here to buy now or for more information about the deal. Quantities are limited so don’t miss out! Valid for 1 year from date of first visit. Buy up to 2 vouchers for yourself and unlimited as gifts. Limit 2 vouchers for personal use. By appointment only, please call 514.907.5900 for bookings. 24 hour cancellation policy or voucher is void. Package includes 1 year of unlimited IPL laser hair removal sessions on 3 body parts of your choice. Each voucher must be used by 1 person only and on the same 3 body parts for the entire year. Must wait a minimum of 5 weeks between treatments on the same area. May combine 2 vouchers for 6 body parts. Not valid with other offers. No cash back or credit. Not valid for tax and gratuities. Cannot be redeemed before Monday, July 25, 2011. If you’re plagued by the self-confidence issues that stem from the rapid expansion of intrepid body hair colonists, get on to fixing that problem by getting those harrowing hairs zapped into oblivion at Montreal’s Modica Medspa. This is a top-of-the line facility that boasts unparalleled facilities and an impeccable track record when it comes to expertly resolving any and all dermatological issues. Stop fumbling every morning with band-aid solutions like tweezers, wax and clippers, when you can banish those offensive hairs rapidly, painlessly and permanently. Once you’re enjoying the new-found swag of your slick, smooth self, you can finally get to fixing your mom issues, dad issues, pet issues, furniture issues, or any other complexes you might have. Sort out your skin first, and then there’s no telling you what you can tackle. Reminder Update: I originally posted about this deal on Friday. Here’s a reminder that this deal expires tonight at midnight. At the time of this post, they have already sold over 30+ vouchers which means the buy is on so don’t miss out! Your closet is stocked with tartan plaids, houndstooth jackets, and floral sundresses. One place you don’t want to find any patterns? Your skin. Give your complexion a redesign with today’s derma-magic deal from Bioesthetique. 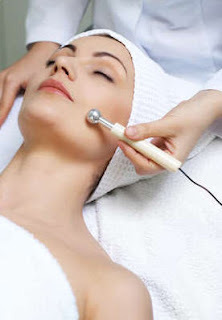 Pay $99 for a photofacial and mini peel (a $250 value). These noninvasive treatments provide a pain-free way to remove polka-dot blemishes and fine lines, shrink imperfections, and give you a monochromatic skin tone on your face, neck, chest, and hands. Bioesthetique uses organic and natural products with all treatments and promises no down time for these procedures, so you can get back to setting trends. For 60% off, this deal gives you the ultimate in fashion accessories: clear skin to pair along with all those argyle sweaters. Limit one per person, additional as gifts • Appointments are required and subject to availability (please at least 48 hours in advance) • Merchant cancellation/re-scheduling policy of 24 hours applies; voucher subject to forfeiture for missed appointments • Gratuity not included; don’t forget to tip on the pre-discounted amount • Other conditions apply • Promotional value expires on July 25, 2012. Reminder Update: I originally posted about this deal on Friday. Here’s a reminder that this deal expires tonight at midnight. This deal is a pretty hot seller. At the time of this post, they had already sold over 80+ vouchers so don’t miss out! I’ve got great news! For a limited time, you can get an extra 10% off TeamBuy.ca’s already great deals. Simply type “extra10now” in the promo code section of any deal’s check-out to redeem. This offer expires July 31st, 2011 so hurry! The grass always seems greener on the other side, so try and swing your way to greener courses with today’s TeamBuy offer: for $18 get an 18-hole round, 50% off cart rental and a $5 ticket for the club’s restaurant, as well as 10% off all Taylor Made products at Club de Golf Select, a $48 value! You can buy 1 voucher for personal use and unlimited as gifts and the vouchers don’t expire until November 15, 2011. This is a limited 1-day only sale that will expire at midnight (Friday, July 22, 2011). Click here to buy now or for more information about the deal. Quantities are limited so don’t miss out! Have a ball on this amazing, 6616 acres golf course, located just 35 minutes from Montreal in picturesque Mirabel in the Laurentians. Enjoy a marvellous, relaxing day getting your aim just right with friends and other golf amateurs. With incredible surroundings including a view of the ‘Rivière du Nord’, you will feel like time has stopped. The course is conveniently composed mostly of sand, which facilitates drainage so your feet are never wet, and the professional staff constantly receives compliments on their course’ design. Use the convenient golf cart to peruse the rolling hills and enjoy an additional 5$ off your refreshments on the beautiful terrace for a completely relaxing day outdoors. Learn more about this piece of green paradise by following this link. 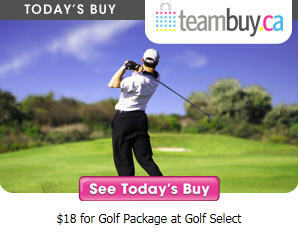 Get in the swing of things with today’s TeamBuy offer! This is a limited 1-day only sale that will expire tonight at midnight on Sunday, July 24, 2011). Click here to buy now or for more information about the deal. Quantities are limited so don’t miss out! Today’s Groupon: for $99, you get one tattoo-removal treatment and consultation at New Skin Laser (a $225 value). New Skin Laser’s experienced staff remove unwanted tattoos via a clean and sterile method. After a consultation to determine the client’s best treatment plan and pet’s middle name, a skilled laser technician pulls on gloves and guides a Q switch YAG laser across tattoos up to 5″x5″. During a 15- to 20-minute session, pulses of light travel from the laser to the skin and break up the tattoo’s pigment and cause macrophages to obliterate the removed ink. Technicians completely sterilize all masks, gloves, and equipment between each treatment. Though one session takes great strides in liberating bodies from tyrannical tattoos, multiple sessions may be necessary for complete removal, and clients will need to wait five to six weeks between treatments. Larger tattoos, from full-arm sleeves to full-leg inscriptions of the Treaty of Versailles, can be treated for an additional fee.